Thanks for stopping by our website. Stay awhile and discover why we are one of California's leading insurance brokerage firms. When you are looking for something as vital as insurance, you want a company you can count on to help you build the right plan at the best possible price. At True Rate Insurance Agency, we take pride in offering our clients in the Los Angeles, Long Beach and Pasadena areas of California the personal touch so lacking today. Latest Blog: Teen car insurance is expensive, get advice on how to mitigate those costs. Getting the insurance you need at the right price does not have to be hard, confusing or time-consuming. At True Rate Insurance, our goal is to help you understand how we can assist you. Here, we take the time to ask the right questions and, most importantly, listen to your needs. That’s our pledge of quality service. We are your voice. As your neighborhood independent agency, we shop and compare rates among many of the nation’s leading carriers to build policies that fit your special needs and budget. Whether you are looking for home, life, commercial or auto insurance, you can count on us to put you first. Our team of proven, highly trained professionals is dedicated to providing you with the type of excellent service and cost-effective plans than you deserve and expect. Spend some time getting to know us and our services. Subscribe to our Newsletter and read our Blog for the latest insurance news and money saving tips. We strive to exceed your needs, not just meet them. Don’t wait for an emergency to happen. Get the information you need, now. 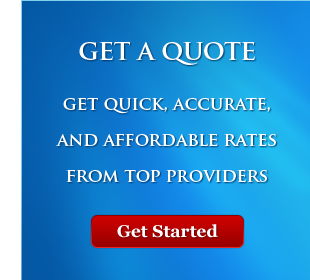 We offer instant online quoting here on our website. Simply follow the link to our online quoting pages, then select the quote you would like. After filling out the forms you will receive an instant competitive quote. No more waiting hours or days for a response!